I was very impressed. They were professional, and they did the job quickly and very nicely. I liked how efficiently and how beautifully they did the work. We were really happy with it. I liked that they manufactured brick and block. You want to go to the source, and they have it. I like going to the manufacture, and the two times that I have used them, I ordered enough block that it really paid to deal with someone like that. They were also able to deliver it, and it was really good. Everybody in there takes care of you. They do a good job, and they know their business well. There was some good attention to detail, and the finished work was exactly what we talked about. I was very happy with the whole process. I was very happy with the whole thing. I think the patio looks beautiful. They helped us pick the stuff out. It looks very good, and I am very happy. 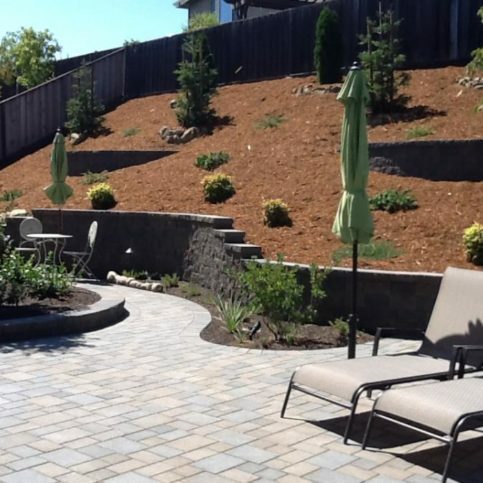 CastleLite Outdoor manufactures and installs paving stones, masonry units, and Green paving products for residential and commercial clients throughout Northern California. In addition to its onsite installation capabilities, the company maintains a factory showroom in Danville so customers can see firsthand applications of its products. Operations Manager Jay Magstadt says one of CastleLite Outdoor's most important attributes is its ability to handle both the manufacturing and installation sides of paving stone work. “As a manufacturer-installer, we’re able to control our products from beginning to end, which allows us to maintain excellent customer satisfaction. We’re the only paving stone manufacturer that sells directly to its clients, and that makes a big difference in terms of the quality and appearance of our installations. CastleLite Outdoor's highly experienced installers are trained in a variety of cutting-edge installation techniques, including the use of filter fabrics and extra base materials to keep driveways from settling, the use of concrete borders to prevent edge pavers from shifting, and more. “These methods ensure our clients are completely satisfied with their new backyards, patios and driveways,” says Mr. Magstadt. "We don't just sell paving products—we sell experiences." 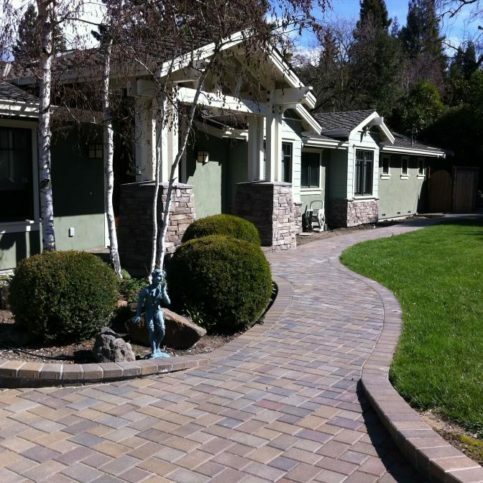 CastleLite Outdoor manufactures and installs paving stones, masonry units and Green paving products for residential and commercial clients throughout Northern California. In addition to its onsite installation capabilities, the company maintains a factory showroom in Danville so customers can see firsthand applications of its products. When hiring a contractor for a paving stone project, make sure you find one with specialized expertise. Another aspect of working with paving stones that requires specialized expertise is the act of reinforcing and sealing. “The best way to reinforce pavers is to put a concrete border underneath them to hold them in place,” says Mr. Magstadt. “Some contractors opt to use an outside restraint instead, but those eventually deteriorate and cause the outside edge of the pavers to start moving, which can create gap formations.” When it comes to sealing a surface composed of pavers, a contractor’s level of expertise may mean the difference between clean paver joints and ones bursting with emergent weeds. Make sure your paving stone contractor doesn’t use a “face mix,” which essentially means the color is only applied to the exterior surface of a core gray paver. 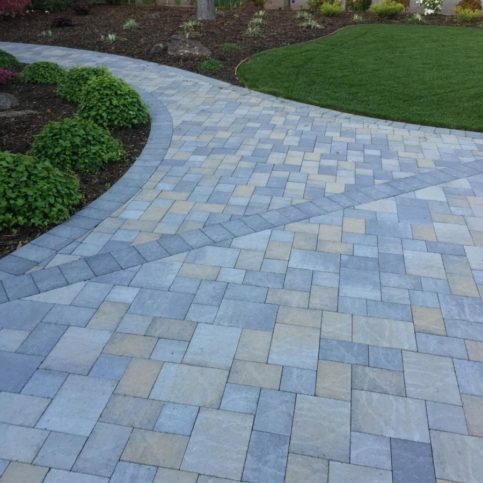 Since the color isn’t mixed throughout the whole paver, not only will it fade more quickly, but if any pavers get chipped, their gray interior will become exposed. In addition, certain additives used by manufacturers in the concrete mix can also have a detrimental effect on color. “A lot of companies will use fly ash as an additive to cut back on the cost of cement, but that tends to lighten up the product in terms of appearance,” adds Mr. Magstadt. Q: What are the benefits of your concrete pavers? 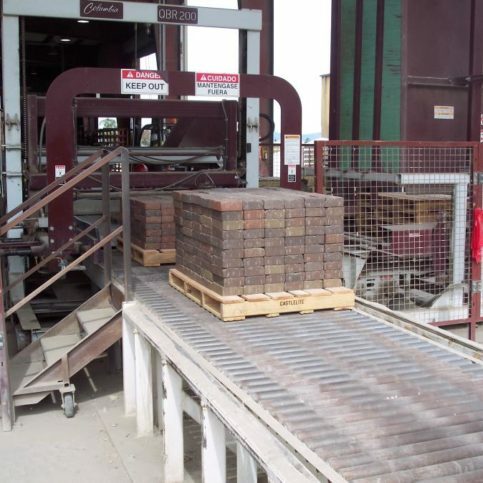 A: One of the biggest benefits of our pavers is the way we manufacture them. Unlike other paver manufacturers that merely coat their pavers with a surface color, we use a single mold process that enables the color to be integrated throughout the entire paver. This way, the color you see on the surface is the same color throughout the paver, ensuring vibrancy for years to come. 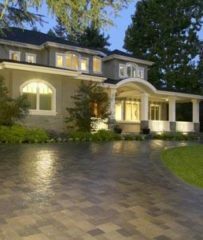 Q: Why should I choose pavers over asphalt or concrete? A: The ground under asphalt and concrete moves over time, which results in cracking and displacement. Since concrete pavers are modular and flexible, they’re less susceptible to cracking. If the ground does heave or a utility needs to be repaired under the pavers, they can be easily removed and replaced after the repairs have been made. Q: Can pavers be laid over the top of my existing asphalt or concrete? A: Pavers can be laid over existing pavements that are in good condition. However, if the pavement shows signs of major cracking, heaving or settling, we don’t recommend placing pavers over it. Instead, you should remove the existing pavement, treat the substrate and construct a new structural section beneath the concrete pavers. Q: Are concrete pavers slippery? A: No. 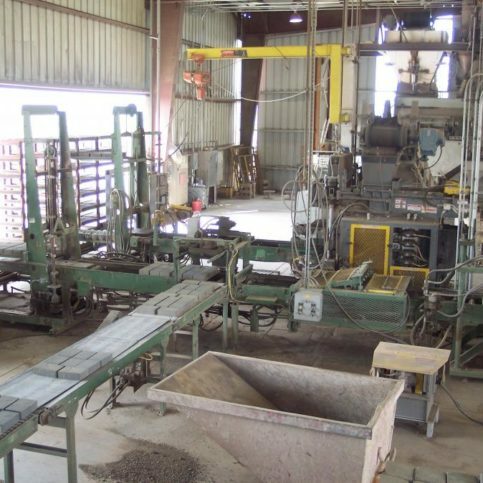 Our concrete pavers have been tested and are known to exceed the Caltrans standards for the friction coefficient (skid and slip resistance) for highway construction. They’re also known to surpass the slip and skid resistance standards established by the Americans with Disabilities Act. Q: How do the pavers interlock? A: All our concrete pavers are interlocking, regardless of shape, color or laying pattern. The term ‘interlock’ is used to describe the internal friction imposed by the joint sand between the concrete pavers—it’s the feature that gives concrete pavers the flexibility and durability to withstand minor and major movements of the native soil. Also, if maintenance and repairs are required, they’re simplified because no mortar is used in the installation process. Q: Will weeds and grass grow beneath the paver joints? A: If you’ve had your concrete pavers installed with the recommended materials and methods, you’ll have created a sterile environment that won’t allow weeds or grass to grow between the pavers. However, seeds can blow into the top of the paver joints and weeds or grass can start growing in any organic material that has built up between the joints. If that happens, you can pull the weeds or apply a weed killer spray. 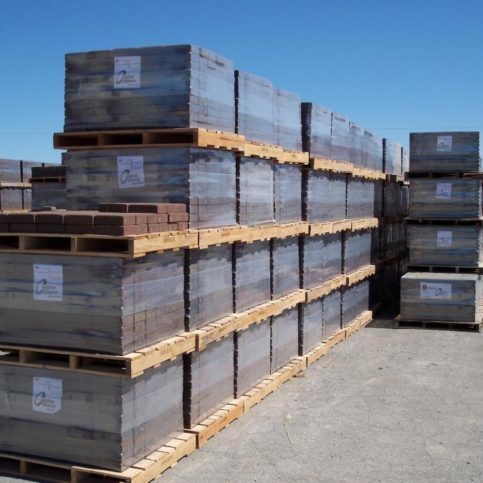 CastleLite Outdoor palletizes pavers at its plant in Dixon. Jay Magstadt is operations manager of CastleLite Block, LLC, a Diamond Certified company since 2012. He can be reached at (650) 397-2044 or by email. Outside of work, Jay spends his time engaged in a variety of active pastimes. “I enjoy fishing, cooking and sports,” he says. “Besides following professional sports teams like the Dallas Cowboys and Boston Celtics, I play bocce ball in the local city league.” Additionally, Jay enjoys spending time with his wife, Kristie, and their daughter, Amanda, who is currently attending Washington State University. A: La Taqueria in San Francisco. A: Mostly ’80s and ’90s music. A: Santorini, Greece. I went there 25 years ago and it was the most beautiful place I’d ever seen. SOLANO — A concrete paver installation involves several substantial aspects, including soil engineering and aesthetic design. However, there are also smaller details that, while comparatively minor, can have a noticeable impact on the installation’s performance. One such detail is the type of joint sand used to fill the spaces between pavers. While regular joint sand will work fine in some cases, it can lead to problems in others. For example, if you use regular joint sand for a pool deck, it can get blown into the pool by the wind. Likewise, if you put in a driveway that’s pitched toward the street, rainwater can wash the sand out of the joints, which can eventually cause the installation to fail. In such cases, it’s better to use a product like polymeric sand. Unlike regular sand, polymeric sand is enhanced with a glue-like adhesive that goes in dry but, once activated by moisture, hardens and locks the sand in place. That way, you don’t have to worry about your joint sand ending up in your pool or washing away during a rainstorm. 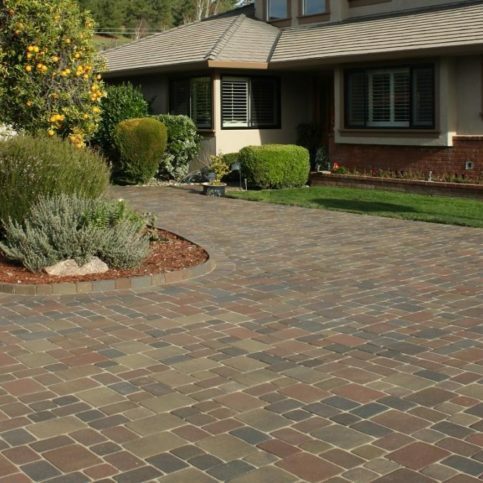 Another smart choice for paver installation is to use through-mix pavers, whose colors go all the way through. 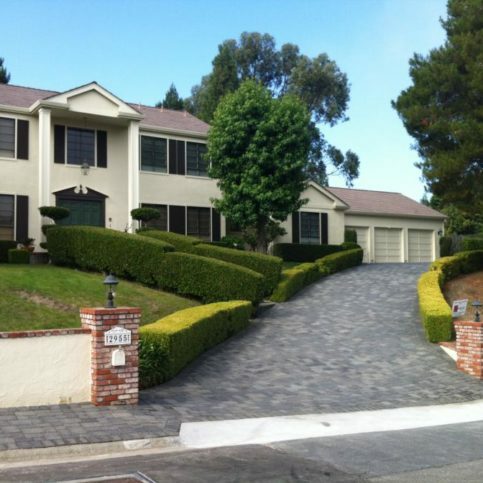 Many homeowners choose face-mix pavers, which are gray bricks coated with colored concrete. The problem with these pavers is any chips or similar surface damage will reveal the gray within and disrupt the installation’s color continuity. 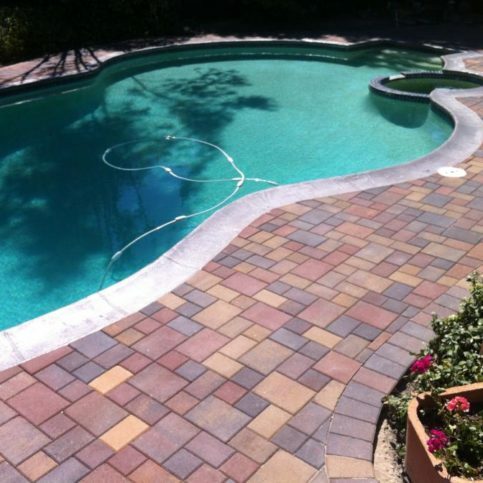 In contrast, since through-mix pavers are the same color throughout, surface damage is far less noticeable. Considering the expense of a paver installation, it’s worthwhile to invest in this added measure of aesthetic security. 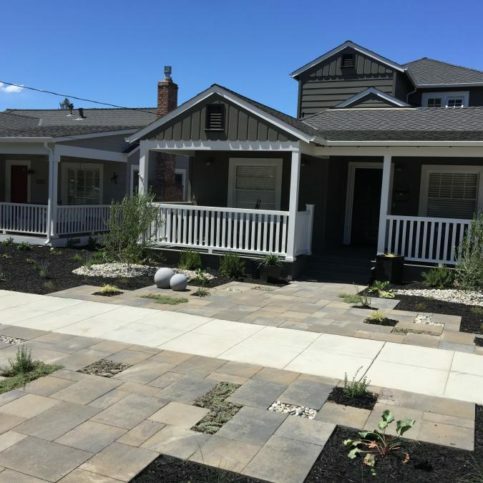 SOLANO — Host, Sarah Rutan: When planning for a concrete paver installation, you’ll need to decide whether to use face-mix or through-mix pavers. Today we’re in Dixon with Diamond Certified Expert Contributor Jay Magstadt of CastleLite Block to learn more. Diamond Certified Expert Contributor, Jay Magstadt: Today we’re going to talk about face-mix pavers versus through-mix pavers. 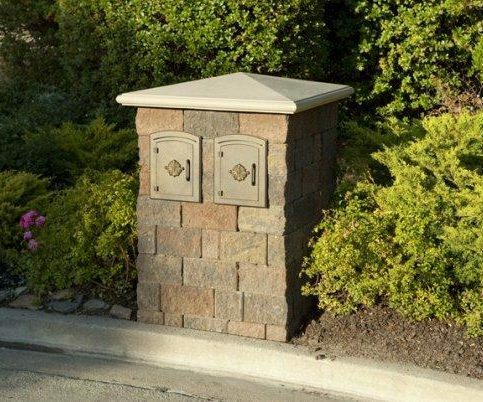 So, a face-mix paver is a grey brick paver that’s been coated with a colored concrete. 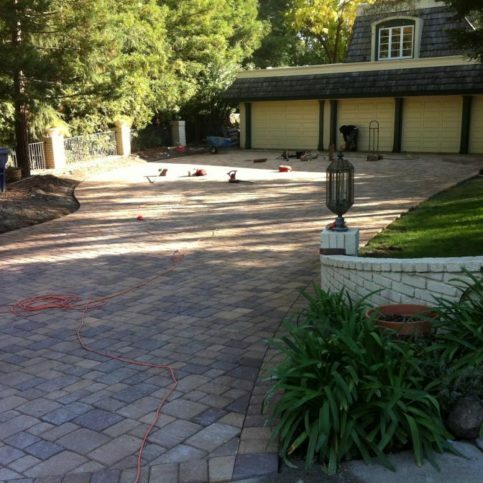 And a through mix-paver is a paver where the color is constant all the way throughout the paver. So, we’ve cut a paver here. And, as you can see, the color of the face here is the same as the surface. So, if you chip the paver, the color will come through. And it won’t notice a difference in color. So, if you’re looking to buy a paver, I would recommend a through-mix paver. SOLANO — Host, Sarah Rutan: When filling in the joints of a new paver installation, using polymeric sand can prevent problems in the future. Today we’re in Dixon with Diamond Certified Expert Contributor Jay Magstadt of CastleLite Block to learn more. Diamond Certified Expert Contributor, Jay Magstadt: My expert tip is on polymeric sand. 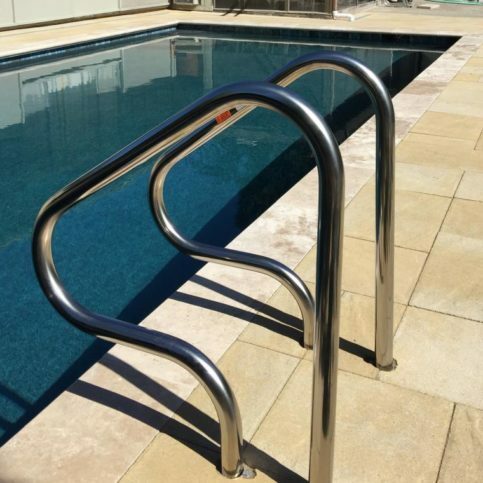 If you have a pool deck, you do not want the joint sand to blow into your pool. So, polymeric sand has an additive that when you adhere water to it, it sticks and will not blow into the pool. It’s also important to use polymeric sand driveways. Most driveways are pitched towards the street and during rains can wash the sand out of the joints, and the driveway would fail. So, you need to use a polymeric sand so that that sand can adhere into the joint and will not wash out, and that is my expert tip. CastleLite Outdoor : Average 8.8 out of 10 based on 159 unique customer surveys of customer satisfaction. The work that they did, I thought they did a great job. They are very good but very expensive. They were fast, they knew what they were doing, and they gave great advice. They were clean, they did not ruin my house, and they were fast. They did the job, they did it well, and then they left. I think I would recommend them if there is any work to be done that requires those rocks or stones. The service, everything went as expected. The service and the execution, I think they have it down pat. I thought that the customer service was very satisfactory. They were great. I liked the product and the fact they came out and did a good job. I walked in and told them what we wanted and needed, and they delivered. We found the best price with them. You get a lot of flexibility, and they did a great job of putting it together. The ease of dealing with them, the whole thing worked out well. They were very expert at what they did, but I did not get as much help with the design as I would have liked. They are reasonable, and they do good work. 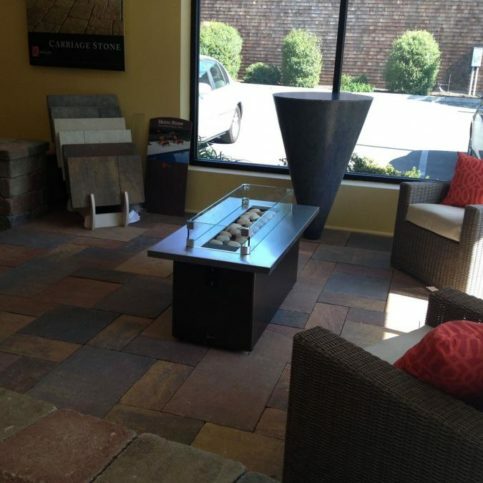 Their staff, the people that installed my patio were very professional, and I think very highly of them. 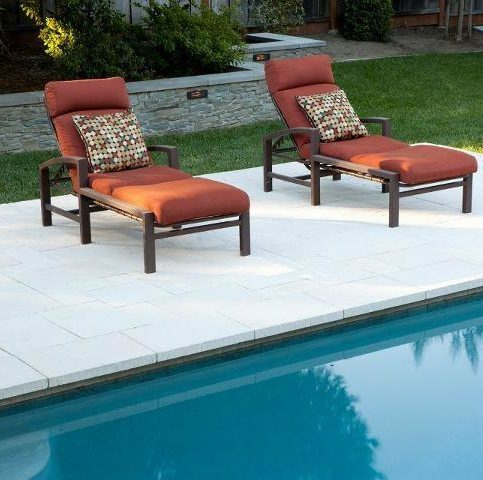 That it's a great product, and the stones look amazing on the patio. I like the product, and their prices were good. They have good value, and they do professional installation. The workmanship that the crew does is excellent. The installation was done quickly, professionally, and it looked great. They were quick and clean. The quality of the work was great. It was quality work at a good price. They did a good job, and they did it quickly. It looks good, and the installation was very good. They did a careful job. It was a very good experience from beginning to end. I went to the showroom first, so I could see all of my options. They set me up with a salesperson who laid everything out. The installation was quick and professional. I enjoyed the whole experience. They aren't pushy at all.